After discussing av and em, lets discuss the more generic term for mother and father: horim הורים - "parents". An informal survey I took of both native and non-native Hebrew speakers found that many of them thought that word was related to the word for teacher - moreh מורה and teaching - horaah הוראה. However, the word has a different root altogether. Moreh derives from the root ירה - "to teach", which is also the root of the word תורה - torah. Horeh comes from the root הרה - "to conceive, become pregnant". From this root we get the word herayon הריון - pregnancy. The word is of biblical origin, but the story is a little strange here. Twice in the Tanach we find the word hora הורה - in Shir HaShirim 3:4 and Hoshea 2:7. In both instances, the word clearly means "mother". And that makes sense - the one who becomes pregnant is indeed the mother. The JPS translates this as: "The blessings of your father surpass the blessings of my ancestors [horai], to the utmost bounds of the eternal hills." Hebrew horai is so rendered based on postbiblical usage. However, the stem h-r-h in the Bible can only mean "to become pregnant" and is, of course, solely used in the feminine. Seeing that "mountain(s)" - "hill(s)" is a fixed pair of parallel terms in Hebrew poetry, occuring more than thirty times in that order, Rashbam is undoubtedly correct in connecting horai here with har, "mountain." The Septuagint indeed reads here "ancient mountains," joining the word to the following 'ad. The phrase harere 'ad, "ancient mountains," appears in Habakkuk 3:6 in parallel with give'ot 'olam, "eternal hills." The Blessing of Moses to Joseph in Deuteronomy 33:15 employs the same imagery, though in variant form: "With the best from the ancient mountains, / And the bounty of hills immemorial..." Therefore it is best to render here, "the blessings of the ancient mountains". from O.Fr. parent (11c. ), from L. parentem (nom. parens) "father or mother, ancestor," noun use of prp. of parere "bring forth, give birth to, produce," from PIE base *per- "to bring forth"
I haven't seen proof of this, but it wouldn't surprise me if the Latin parentem (or an earlier version) originally meant "mother", since she is the one who gives birth. What I do find strange is how the words are listed in the dictionary. 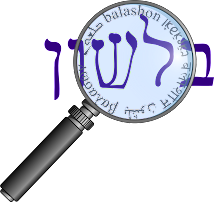 Both Klein and Even-Shoshan have listings for hora, horeh and horim. Even if they accept the more traditional understanding of Bereshit 49:26 as "my parents", I don't see why they need to have a separate entry for the plural form of the word. I suppose it's to say that the singular horeh means "father", not "parent", whereas only the plural horim is truly generic. But that's not the way it is used in Modern Hebrew. The popular online Hebrew-English dictionary Morfix translates horeh only as "parent", and doesn't have an entry for hora - as mother - at all. “Hora” comes from ancient Greek khoros, which also gives us such words as “chorus” and “choir.” Traditional circle dances deriving their names from khoros can be found all over the Balkans and southeastern Europe. They include the Turkish and Romanian hora, the Bulgarian horo, the Montenegrin and Macedonian ora, and the Russian khorovod, and they are all very old and highly similar in the way they are danced. from Gk. khoros "band of dancers or singers, dance, dancing ground," from PIE *ghoro-. In Attic tragedy, the khoros gave expression, between the acts, to the moral and religious sentiments evoked by the actions of the play. I'd like to start a new series about kinship terms. I've written about some of them before, and you can find all of them by clicking on the label below this post, or in the categories section in the sidebar. I think the Hebrew terms for mother - אם em, and father אב av. Klein writes that both of them "probably derive from a child's word", i.e. baby language. Similar sounds are used in many languages. In modern Hebrew we have the terms aba אבא - "dad" and ima אמא - "mom". Klein writes that they come from Aramaic, where they mean "the father" and "the mother" respectively. However, Kutscher points out that in Talmudic Hebrew aba and ima can mean "my/our father/mother". As a proof of this, he brings the story from Pesachim 4a (according to the version of Rabbeinu Chananel), where Rabbi Chiya asked Rav if "Abba" is alive. Rav didn't want to say anything offensive - so he said "Abba" is alive. Kutscher writes that Rabbi Chiya was asking if his own father was alive, and Rav knew that he wasn't. So when Rav said "Abba" was alive, he meant, "yes, my father is alive". Because of the similar sounds in other languages, it can be difficult to determine if a word in a non-Semitic word that sounds like em or av was borrowed from Hebrew or a related language. However, there are a few examples where this seems to have happened. from Anglo-Fr. aunte, from O.Fr. ante, from L. amita "paternal aunt" dim. of *amma a baby-talk or non-I.E. word for "mother" (cf. Gk. amma "mother," O.N. amma "grandmother," M.Ir. ammait "old hag," Heb. em, Arabic umm "mother"). Another instructive example is the use made in Christian times of words derived from the Hebrew אב (av – “father”). In Mishnaic Hebrew we find the Aramaic אבא (abba), the earliest written form of which appears in the New Testament in Mark 14:36. The word followed hard in the wake of the spread of Christianity throughout Europe. In medieval Latin it took the form of abbas, a name for a monk, whence abbatia, a monastery, still retained in French abbaye. Furthermore, by the addition of a Greco-Roman suffix a feminine form was created, abbatissa. In English one finds abbot (and abbess), in German Abt the head of a monastery, in French abbé a priest. Likewise we have in German Äbtissin head of a nunnery by adding in, a German feminine suffix. It is strange that the female head of an abbey would have a title deriving from the Hebrew word for "father" - but that's how language goes! In my last (real) post, I discussed the origin of the word soda, and its derivative sodium. Well, have you ever noticed that the chemical symbol for sodium is Na (as in NaCl - sodium chloride)? Clearly Na is not an abbreviation for "sodium", so where did it come from? We begin with the Egyptian word ntr (I've also seen it spelled netjeri / netjry /ntrj / ntry). The word originally meant "divine" or "pure". It referred to a salt called sodium carbonate, also known as "washing soda" or "soda ash" (and sometimes simply "soda"). It was found in the area of Wadi El Natrun (apparently the wadi was named after the salt, not the other way around), in salt lakes. It was used both for soap as well as in the process of mummification. However, in Israel, outside of Egypt, neter didn't only refer to soda (sodium carbonate) but primarily to potash (potassium carbonate), which was derived from plant ashes. (Note that we've previously discussed the Semitic origin of the symbol K for potassium, and its connection to plant ashes.) By Talmudic times (Shabbat 90a), they distinguished between the two types: Alexandrian neter, which came from the Egyptian salt lakes, and Antipatrisian neter, which came from the town of Antipatris - made from the ashes of plants. The Greeks also had a term for this kind of soda - nitron (sometimes spelled litron). There's some debate as to whether the term was directly borrowed from Egyptian or perhaps entered Greek via Hebrew / Phoneician. From Greek the word entered Latin as nitrum and Arabic as natron. If we continue following the word in the European languages, we see that from here it splits into two different paths. The Arabic natron enters as is into Spanish and then French, where it meant both potash and soda. The word natron is still used in English (where it appeared first in 1684), but mostly to refer to the older use of the salt. In the 18th century, chemists began the process of identifying the various chemical elements. As discussed here, there was a split between Germanic speaking countries and the English and French speaking countries. Sir Humphry Davy was able to isolate the element sodium. As it came from "soda" - sodium was the name he chose, and this is the name used in French and English speaking countries. However, the Germanic speaking countries follow the chemists Gilbert and Klaproth who first called the element natronium (the suffix -ium means "metal", i.e. this is the metal component of soda), and then later Berzelius who came up natrium. And as we saw with Potassium and K, while the name of the element is sodium in English, the symbol of Berzelius was adopted - Na. In Hebrew the word for sodium is natran נתרן. I haven't seen its coinage discussed extensively, but I imagine that on the one hand the influence of German science is felt here, as well as a desire to connect it to the Biblical word neter. Again in the 18th century, Rutheford discovered the chemical nitrogen, but the name was given by the French chemist Chaptal because it produces ("generates") nitre. So we actually have two elements - nitrogen and sodium, that derive from the same word. the alchemists who first described these salts were not then able to distinguish clearly between the two types of salt. It also points out that "nitre" stopped meaning "natron" in English in the middle of the 17th century, around the time that English began using the word natron (which must have helped with the clarity necessary to begin identifying elements like sodium and nitrogen in the following century). It seems established that Greek nitron and Latin nitrum were used for both saltpeter and soda, which were not recognized as different substances. Pliny definitely used nitrum for both. With better chemical knowledge, brought to the West by the Arabs, came also an Arabicized form of nitron, natrun, which existed beside the native Arabic word for soda, qali, meaning a plant ash, or milh qali "ash salt." As now two words were available, and two substances were distinguished, soda was called natron, while nitrum was specialized for saltpeter. Their nitrum, however, must have been exceedingly various in its properties. For this incrustation is not always calcareous saltpetre; it is often soda, mixed with more or less calcareous earth ; and sometimes it consists of salts of sulphuric acid. Substances so different ought not indeed to have been all named nitrum ; but before natural history began to be formed into a regular system, mankind in general fell into an error directly contrary to that committed at present. Objects essentially different were comprehended under one name, if they any how corresponded with each other even in things accidental. Whereas at present every variety, however small, obtains a distinct appellation; because many wish to have the pleasure, if not of forming new species, at any rate of giving new names. The elephant and rhinoceros were formerly called oxen ; the sable and ermine were named mice, and the ostrich was distinguished by the appellation of sparrow. In the like manner, calcareous saltpetre and alkali might be called nitrum. The ancients, however, gave to their nitrum some epithets, but they seem to have been used only to denote uncommon varieties. But were the ancients, under the ambiguous name of nitrum acquainted with our saltpetre? There is certainly reason to think that it became known to them by lixiviating earths impregnated with salts. There are, as already said, not only in India but also in Africa, and particularly in Egypt, earths which, without the addition of ashes or potash, give real saltpetre, like that of the rubbish-hills on the road from new to old Cairo, and like the earth in some parts of Spain. It is a knowledge only of this natural kind of saltpetre, which required no artificial composition, that can be allowed to the ancients, as it does not appear by their writings that they were sufficiently versed in chemistry to prepare the artificial kind used at present. But even admitting that they had our saltpetre, where and by what means can we be convinced of it ? Is it to be expected that any of the before-mentioned characters or properties of this salt should occur in their writings? They neither made aquafortis nor gunpowder; and they seem scarcely to have had any occasion or opportunity to discover its deflagration and the carbonization thereby effected, or, when observed, to examine and describe it. No other use of our saltpetre which could properly announce this phenomenon has yet been known. How then can it be ascertained that under the term nitrum they sometimes meant our saltpetre? Those inclined to believe too little rather than too much, who cannot be satisfied with mere conjectures or probabilities,but always require full proof, will acknowledge with me, that the first certain accounts of our saltpetre cannot be expected much before the invention of aquafortis and gunpowder. It deserves also to be remarked, that the real saltpetre, as soon as it became known, was named also nitrum ; but, by way of distinction, either sal nitrum, or sal nitri, or sal petrae. The first appellation, from which our ancestors made salniter, was occasioned by an unintelligible passage of Pliny, which I shall afterwards point out. The two other names signify like sal tartari, sal succini, a salt which was not nitrum but obtained from nitrum. Sal-nitri, therefore, or salniter, was that salt which, according to the representation of the ancients, was separated by art from nitrum, yet was essentially different from the nitrum or soda commonly in use. Birin-goccio says expressly, that the artificial nitrum, for the sake of distinction, was named, not nitrum, but sal nitrum. In the course of time men became acquainted with the purer, more useful, and cheaper mineral alkali which was furnished, under the name of soda, by the Moors and inhabitants of the southern countries, who had learned the method of preparing it. The vegetable alkali also was always more and more manufactured in woody districts, as an article in great request, and sold under the name of potash, cineres clavellati. All knowledge of the impure alkali from the incrustation of walls was then lost ; and as there was no further need of guarding against confusion, it was not longer thought worth while to name saltpetre sal nitri: it was called nitrum and the oldest signification of this word being forgotten, it was admitted without further examination, that the nitrum of the ancients was nothing else than our saltpetre.